The city of Novelda is located to the south of the Region of Valencia in the province of Alicante and covers a surface area of 76 km2. The characteristic architectural and decorative style by which the city is known is Modernist or Art nouveau. The industry is built on growing grapes which are packed in Vinalopó with their own denomination of origin, the packing of spices, teas and infusions as well as an industry of marble and natural stone. It is well placed with regards to the most important urban nuclei that surround it; it is communicated by road to Alicante and is 27 km from the Alicante - Madrid motorway (N-330). Connecting with the A7 motorway via Benidorm at 65 km or 60 km from Torrevieja. 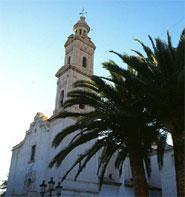 It is also located 17 km from the International Airport of El Altet.